Home » Adventure » Current Tahoe snowpack above average, Gapering for good cause, and more! 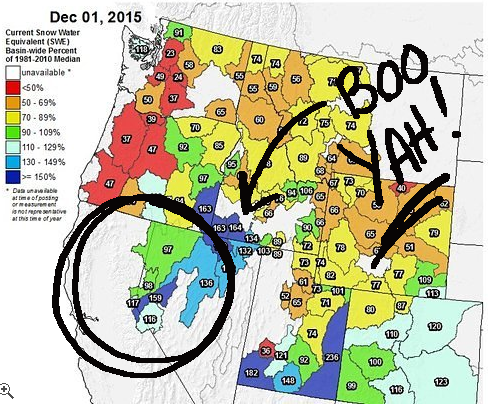 Current Tahoe snowpack above average, Gapering for good cause, and more! Tahoe breaks into December with 117% more snow than usual for this time of year! According to the latest NOAA (National Oceanic and Atmospheric Association) update, Tahoe can expect to get more of that glorious white stuff this winter than Charlie Sheen at a New Year’s Eve party. According to predictions, El Niño will continue to strengthen thus offering up some mega dumpage beginning sometime in mid-December. We’re off to a good start considering we’re already 117% above average for snowpack for this time of year. Holla! KEEP IT COMING, DEAR GOD OF SNOW! For more info click on the link! 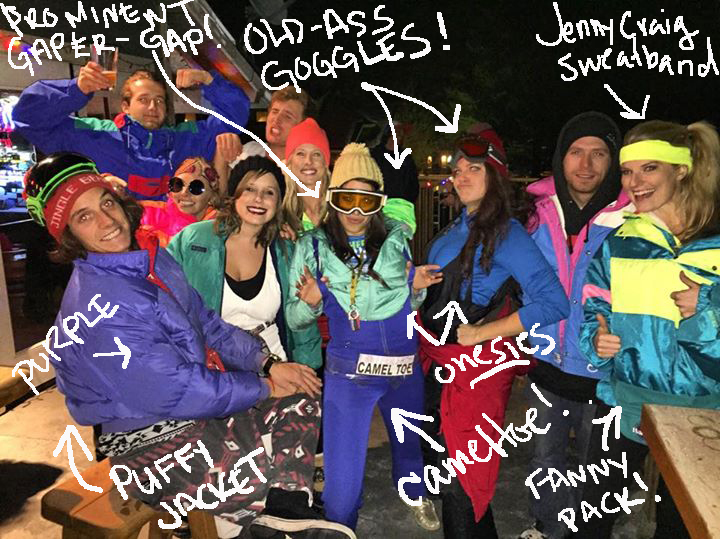 Gaper gaps, Scott goggles, and onesies unite! It was a poppin’ party over at the Divided Sky on the evening of December 1, where DJ Father Getdown (Josh Lease) brought down the house with the finest jams of the 80’s. Gaper game was strong (if not a bit sweaty) as patrons shook their groove thangs on the dance floor and attempted to not spill any Lagunitas on their neon onsies. The gaper party was organized in effort to raise money for Aspen Weaver, who was recently offered an opportunity to film with Absinthe Films this winter. The fiery fiesta was a raging success. However, if you were unable to attend the gaptastic event due to other obligations, please head on over to Aspen’s GoFundMe page to offer a much-need hand in helping him achieve his dream! Beware: smelly creep on the loose. Also, this guy has really interesting drawing skills. According to a recent article by MyNews4, a strange man apparently robbed a 16-year-old boy on the bike path behind the Motel 6 in town. 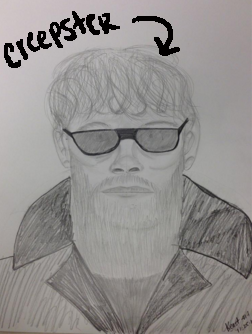 At the time of the robbery, police say the man was wearing black sunglasses, a black trench coat with the collar turned up, a grey undershirt, tattered blue jeans, tattered white shoes. Police also say the boy said the suspect smelled foul and was very unkempt. This guy seems like he would be pretty obvious to spot (or smell). Unfortunately SLT’s crime sketch artist was away for the holidays at the time of this incident, so my pet golden retriever had to jump in for the job. Just kidding. It was actually my 7-year-old cousin. If anyone has information which may be helpful, please contact SLTPD at 530-542-6100 or, if you wish to remain anonymous, at the Lake Tahoe Secret Witness tip line at 530-541-6800.